Alcantara® is made from extremely fine polyester microfibres, 40 to 50 times finer than cotton and 200 to 300 times finer than wool, with a denier count never achieved before (0.17 dtex). 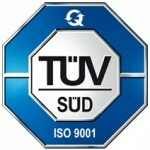 The quality and characteristics of the finished product are all due to this very fine and unique denier count which is obtained by a highly sophisticated extrusion process of the polymer. The fibre is so fine that thousands of metres weigh only a single gram. The polyester fibre which is the basic material in the production of Alcantara® is cut into a countless number of segments which then undergo processing in special carding machines to form a soft felt some 10cm thick. 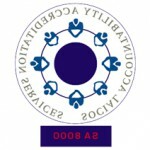 The particular cloth-like appearance is acquired after a process of needle punching and treatment with a special agent. The ‘greige’ is then subjected to a special dyeing treatment which is the last stage in the production cycle prior to finishing. 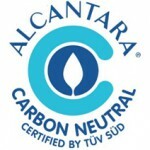 Alcantara ®’s quality has been endorsed by two important certifications: Certitex and Oeko-Tex. 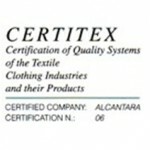 Certitex attests that Alcantara ®’s quality control systems meet international norms. 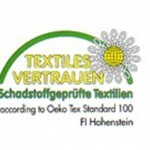 Oeko-Tex, awarded by the Hohenstein International Institute, certifies that Alcantara ® products are absolutely safe for contact with the skin.